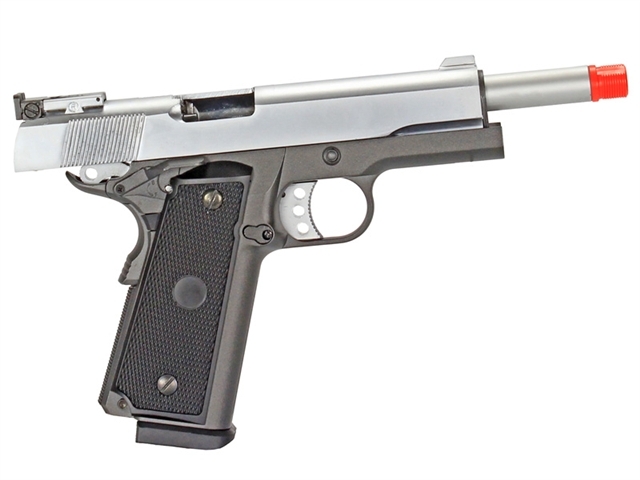 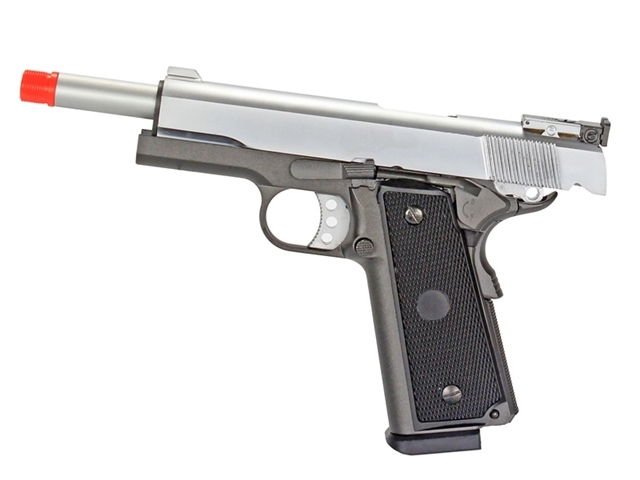 For those looking for 1911 type pistol with power and style, check out the MetalTac's 1911 Hi-Capa (High-Capacity). 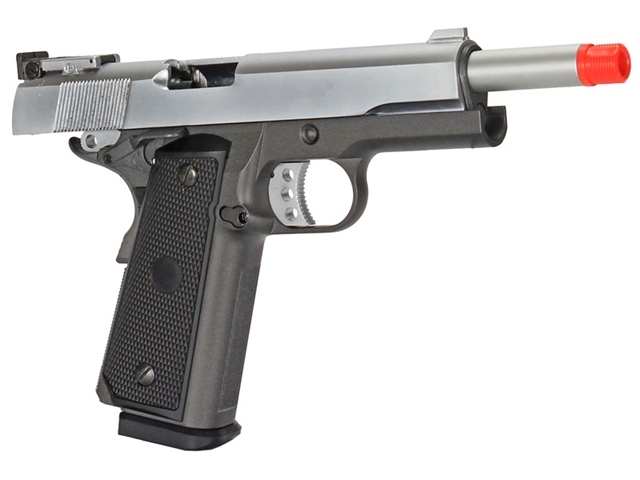 A full metal build from slide to frame to internals, this is a hefty pistol with a great and balanced weight from front to back. 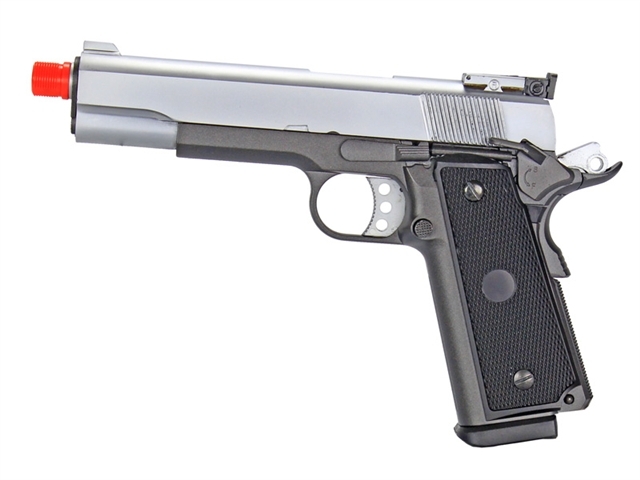 As the Hi-Capa model it features a double-stack magazine that holds a capacity of 30 rounds, instead of the conventional single stack magazine that holds around 15. 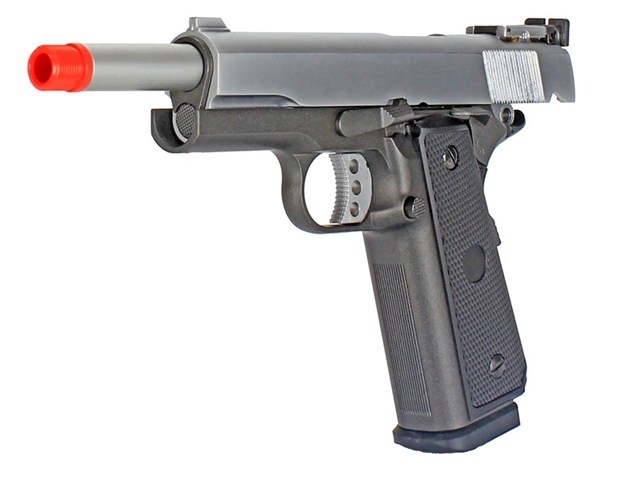 Powered by green gas that is filled via a valve located at the bottom of the magazine the pistol is powerful firing shots at 300 FPS with an impressive kick thanks in part of the green gas' potent nature and its full metal build, you'll feel the full metal slide slam back and forth for each shot. It features an textured polymer grips, adjustable rear iron sight, an ambidextrous thumb safety that can be clicked on and off, and a grip safety that only allows the trigger to be operated by a firm and intentional grip to avoid accidental misfires. 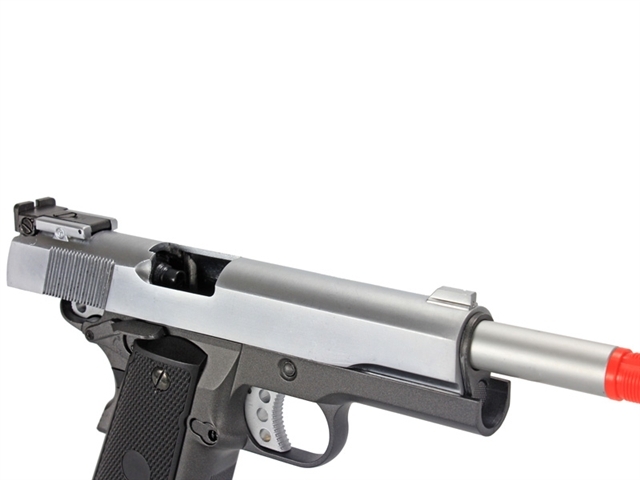 Included as well is a 14mm counter-clockwise threaded barrel tip that accept compatible accessories like barrel extensions. 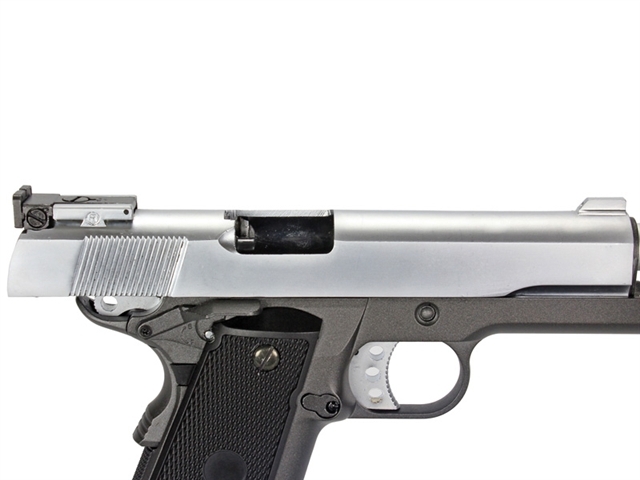 Finished in a two-tone anodized chrome and graphite grey finish, this is a definitely option for those looking for a feature filled 1911.